This date in 2010 happens to be Thanksgiving in the United States. Dating to the Civil War in its modern incarnation, its ancestral event is the “first thanksgiving” wherein European colonists* chowed down with the Wampanoags who had saved them from starvation in New England. This moment of apparent amity obviously also presages the near-annihilation of native peoples by those European colonists over the succeeding centuries; even in 1621, the seeds of future conflict were at hand. By the very next year, Wampanoag chief Massasoit would demand the execution of legendary Pilgrim-befriender Tisquantum (Squanto). So it’s also fitting to remember that this day in 1838** was the execution of Tsali, the hero of those escaped North Carolina Cherokee whom Brown mentions — a man tied to a tree and shot this date by the U.S. Army for resisting “Indian removal”. While assimilated Cherokees like Chief John Ross were themselves right in the thick of the debate about deportation, Tsali was a traditionalist farmer in North Carolina who had little contact with such sketchy political machinations. 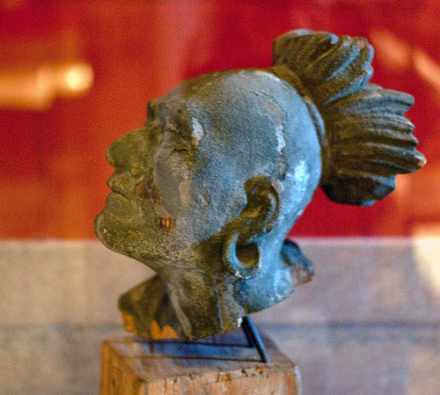 When Washington’s ethnic cleansing policy shed its diplomatic cover for naked force, Tsali and his family killed some of the soldiers sent to capture them for removal. ** General Scott was not amused. And, of course, they were. Tsali is said to die in that fearlessness of the noble savage, a fitting aspect for any martyr at the last. I have a little boy…If he is not dead, tell him the last words of his father were that he must never go beyond the Father of Waters, but die in the land of his birth. It is sweet to die in one’s native land and be buried by the margins of one’s native stream. It’s one of those ironies of empire (not unlike Thanksgiving Day itself) that Tsali’s dying wish was made possible by the very fact that other Cherokees collaborated in his death. Or at least, that’s how Tsali came to be remembered. Scott honored the deal, goes the story, and those un-removed Cherokee indeed persisted in North Carolina. Whether due to Tsali’s sacrifice or not, they remain there to this day: the Eastern Band of Cherokee Indians, headquartered in Cherokee, N.C.
On November 25, 1838, Tsali was executed … They were ordered to kill him so they could stay in North Carolina. Tsali was killed. We are still here. Tsali is a Cherokee hero. 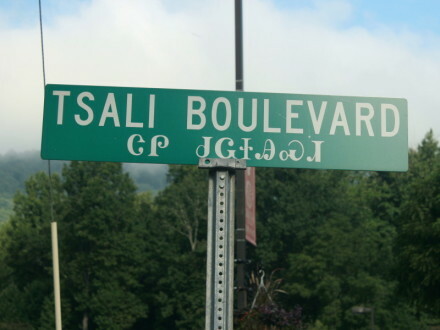 Bilingual English/Cherokee street sign in Cherokee, N.C. (cc) image from Chuck “Caveman” Coker. Nearby, you can hike, bike, or ride horses in the Tsali recreation area. * Including the first man hanged at Plymouth Colony. ** Or at least, the most widely reported date. The sourcing is slightly inconsistent and ambiguous as to whether all the family turned itself in and was shot together, or whether Tsali’s three kinsmen were executed on a previous date with Tsali shot on this date. ‡ These Cherokee would form a legion in the Confederate army which actually had the distinction — under then-Colonel William Thomas — of firing the last shots in the Civil War east of the Mississippi. That version would also resolve the apparent discrepancy in the date and number executed, with Tsali captured on the 24th and shot on the 25th.